Sign up and receive Property Email Alerts of Villas for sale in Senderwood, Bedfordview. 18 Bedroom Italian Styled Villa B&B in the Heart of St Andrews Bedfordview with all of the contents for R25 000 000. 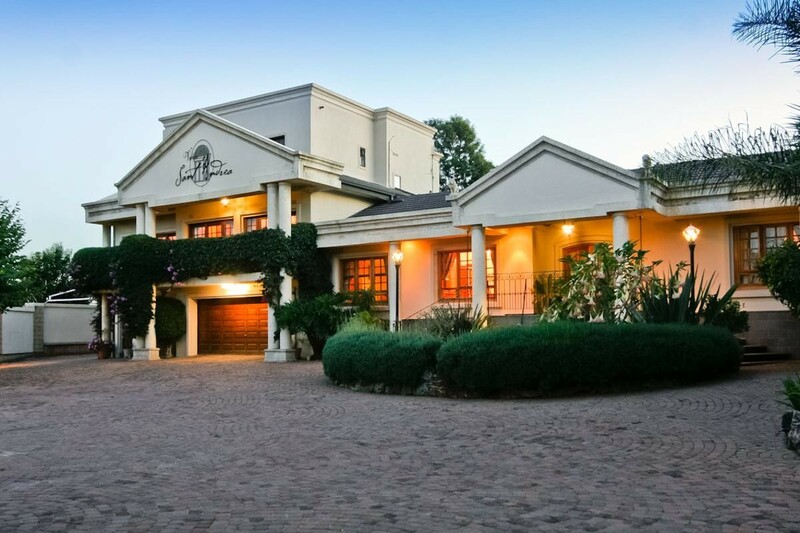 This Villa Located in St Andrews Bedfordview is currently being run as a B&B, but is to be sold as a property, not a business, and therefore no financials will be made available. The Entrance with its Glass domed sky ceiling leads into a large formal Dining room which could be used to host corporate or special events. A beautifully furnished boardroom and two break-away rooms, a games room and lovely sunny breakfast room overlooking a cascading water fetcher, swimming pool, braai and pizza area completes the ground floor Reception. One of the strongest points regarding the Villa is that it currently offers rental flexibility, long term rentals and daily accommodation. All rooms and apartments have underfloor heating and have En Suite Bathrooms with Bath and Shower. They also have self-catering facilities with fully stocked kitchens except for three bachelor bedrooms. Currantly, breakfast is provided should that be a requirement in the large modern Villa kitchen. The most amazing aspect with regards to this beautifull Villa is that all the furniture, fixtures, fittings crockery, cutlery and embroidered linen are INCLUDED in the price, except for the two Italian antique cabinets which the owner would like to keep. A two Bedroom Managers Apartment with separate entrance is also situated on the property. This lavender scented garden Villa would appeal to Corporates, Boutique Hotel and B&B Owners and Investors. Sign-up and receive Property Email Alerts of Villas for sale in Senderwood, Bedfordview.